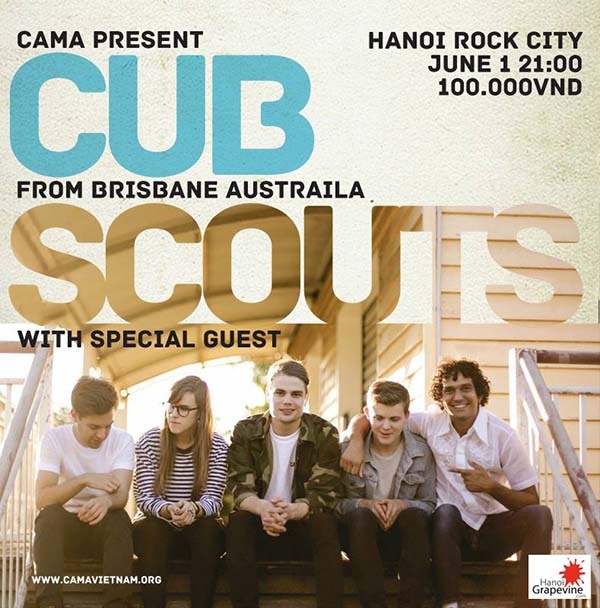 Australia’s latest indie pop sensation aim to steal hearts like Cupid by bringing their catchy set to Hanoi Rock City. Debut single Evie saw them enjoy heavy rotation on Australia’s premier indie radio station Triple J, and catapulted them on a tour which took in the whole of their native country and beyond. Most recently the youthful 5-piece stood out at Sounds Australia’s The Great Escape showcase in Brighton. Sporting backwards caps that leave you wondering if they really did meet at cub scouts, the group won over the crowd with saccharine chorus’s sweeter than Brisbane honey. Looks like Hanoi’s got a night of dreamy summer pop, just in time for summer. Tickets: 100,000 VND at door. Win Free Tickets to Dance Performance "Tiger Tiger Burning Bright"